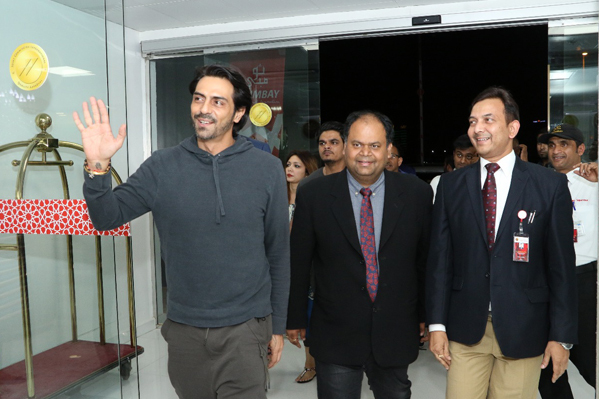 Popular Bollywood actor Arjun Rampal visited Thumbay Hospital – Dubai on Tuesday, 29th August 2017. The actor was at the hospital to meet and greet his fans as part of the promotion of his new film. 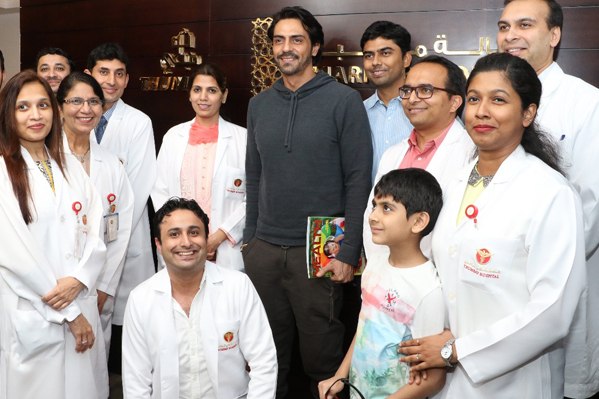 Arjun was welcomed at the hospital by members of the administrative team of Thumbay Hospital Dubai. Accompanied by them, the actor toured the modern facilities of the hospital. He also visited the outlets of various Thumbay Group brands within the hospital, like Thumbay Medical Tourism, Thumbay Pharmacy, Zo & Mo Opticals, Nutri Plus Vita and Blends & Brews Coffee Shoppe. The celebrity visitor was appreciative of the latest equipment and state-of-the-art technology in use at the hospital. He was particularly impressed with the recently launched ‘telemedicine’ facility at the hospital. The hospital’s telemedicine service uses a mobile application platform incorporating advanced communications technologies to support long-distance video visits, wellness care, patient health education, push alerts, health analytics, electronic health records administration etc., maximizing patient convenience. 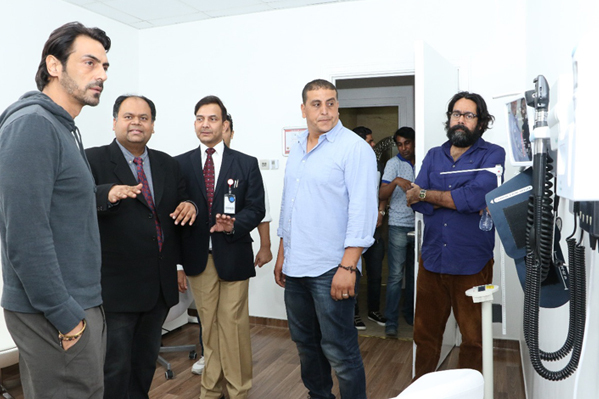 The actor also experienced the Marhaba Lounge, a unique offering from Thumbay Hospitals which delivers personalized services and fast-tracks patients’ requirements including registration formalities, consultation, examination/diagnosis, procedures, documentation, billing etc., requiring minimal waiting times. Thumbay Group’s healthcare division presently operates academic hospitals in the UAE (Dubai, Ajman, Fujairah & Sharjah) and Hyderabad – India, as well as a network of day care centers and state-of-the-art family clinics at various locations in the UAE, making it the largest network of private academic hospitals in the region. All the hospitals and clinics provide clinical training for the students of Gulf Medical University (GMU), the leading private medical university in the region owned by Thumbay Group. They treat patients from over 175 nationalities, and are staffed by doctors, nurses and technicians from over 25 different countries, speaking more than 50 languages. Thumbay Group also operates CAP-accredited diagnostic labs (Thumbay Labs) and retail pharmacy outlets (Thumbay Pharmacy), in the UAE and India. The Thumbay academic hospital network will have a total of 1000 beds in the UAE, 1500 beds in India and 750 beds elsewhere in the Gulf and Africa by 2022, taking the total number of hospitals to 15 worldwide.